Reddit has just announced that they are now accepting Bitcoin as payment for their premium Reddit Gold service. 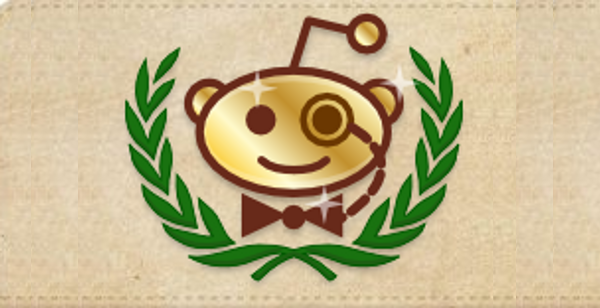 As Reddit describes it, “reddit gold adds shiny extra features to your account that are made possible thanks to support from people like you,” including filtering specific subreddits, the ability to see more subreddits and comments per page, new comment highlighting, the ability to save comments, turn off ads, exclusive access to a “super-secret members-only community that may or may not exist” and, last but not least, a trophy. There is also an option to “gift” Reddit Gold to someone else, which is often used as a way of rewarding particularly good posts – sort of like a more official version of Bitcointip. The payment processor that Reddit has chosen to use is Coinbase, a service which also recently made headlines for passing a 30-day volume of $1 million with its trademark Bitcoin exchange service which allows users to buy and sell bitcoins directly from their bank account. Coinbase has now also introduced an array of merchant tools which allow anyone to easily integrate Bitcoin acceptance into their site at no charge (although Coinbase’s standard 1% fee does apply if the merchant wishes to have the bitcoins automatically converted into USD). The news came unexpectedly, as although the Bitcoin community did make repeated requests for Reddit to accept Bitcoin for their paid service in 2012, since December it seemed as though the cause was, at least for the time being, hopeless and the community’s requests have since died down. Now, it turns out that Reddit was in fact listening to the Bitcoin community’s requests all along, and their Bitcoin acceptance platform has now finally been unveiled. According to Alexa, Reddit is the 135th most visited site in the world, putting it as the second most prominent Bitcoin acceptor after WordPress, which comes in 22nd, and ahead of the Internet Archive, which places 232nd. 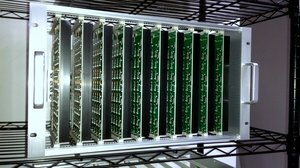 This also introduces the new largest company to have dealings with Bitcoin through its subsidiaries: Advance Publications, with a revenue of $7.63 billion, taking over from Wuala‘s parent company LaCie, with a revenue of $500 billion. For Bitcoin, this comes as yet another great step forward. In 2011, nearly all serious businesses stayed away from Bitcoin, particularly wary of the reputation that the currency had during its fledgling days. Now, with every passing month larger and larger businesses are becoming willing to accept it. In November, WordPress. Now, Reddit. Given how secretive Reddit has been with their Bitcoin acceptance plans until today, the next company to step forward may come from a place where we least expect it.